For any enlightened business, having a clearly defined approach to the effects of climate change, involvement with local communities, responsible and ethical business practices, and the creation of a quality workplace environment must be core parts of business strategy. And with a little luck, that will produce positive effects in surrounding areas. When I think of corporate responsibility, taking responsibility for the stakeholders, employees, customers, and communities your organization affects comes to mind. It is a good practice to ask on occasion about how you and your workforce can have a responsible, positive effect. Is it through volunteerism, having a green strategic plan, community improvement/involvement projects, learning initiatives, charity support, or some other method? Recently, IPI senior staff and Board of Directors members participated in volunteerism through HandsOn New Orleans which is sponsored by Points of Light. More than 2.6 million volunteers have provided 25 million hours of community service through the HandsOn program. It is critical to have a standard for leadership practices, performance, employee engagement, customer service, innovation, environmental practices, and corporate and social responsibility. 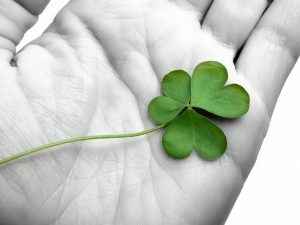 The commonality between corporate responsibility and luck is that they require that you look for the opportunities. This St. Patrick’s Day weekend, may the luck of the Irish be with you and all those involved with your business operations.